I’ve wanted to participate in an escape room for some time now. After playing an escape room game with friends my appeal curbed slightly. Upon discovering that Netherworld has escape rooms my appeal gained momentum again. However, after watching Escape Room I’m good with not going anywhere near one for a while. I no longer have the urge to become an enthusiast like one of the characters within the film. I do however want answers that the film does not even remotely provide. I also want horror films to stop giving me horrible endings, I literally mean that in this case, and ruining the entire film in one fell swoop. 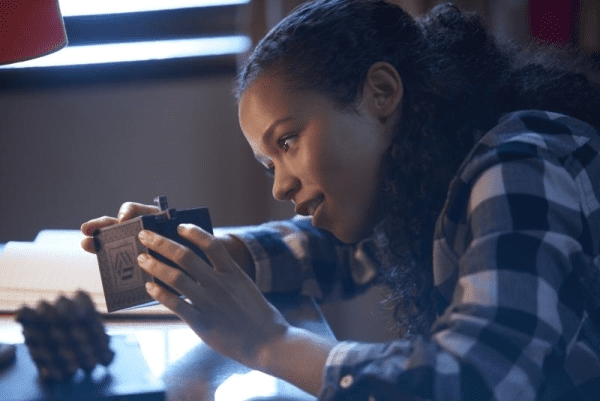 Escape Room focuses on a group of six strangers who all receive a puzzle box from others in their lives encouraging them to partake in an escape room. The catch? The note tells each player if they make it out of the intensive game they will win $10,000. Upon entering the room, the characters slowly begin to mingle with one another to pass time until the game master enters the room and tells them that the game has begun. Unfortunately for them, they learn the hard way that the invite to come play this particular game is more than meets the eye and that they must band together to use their wits if they are going to make it out alive. While I enjoyed the intensity the film brought to us in the beginning, the film extinguishes the fire by using multiple endings. These aren’t even post credit endings, they are endings mingled within the actual ending. Endings that leave you with more questions than answers much like last year’s The Belko Experiment. So many questions still lurk within oneself and no answers are attained. Instead, we are forced to watch a scaled down version of what would happen if Hostel and The Belko Experiment had a baby. 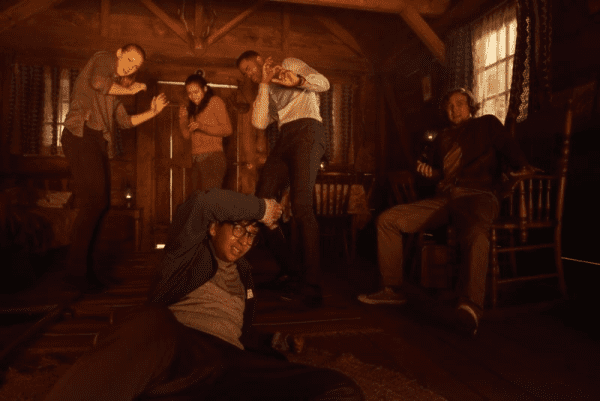 The only good news if one is not a fan of gore, Escape Room scales back in that regard and leaves more to the imagination than not when it come to multiple characters deaths. The characters within the film are all intriguing in one way or the other. We do want to know more about their lives. We want to know who sent the invite to these six strangers and why, despite primarily meeting Zoey (Taylor Russell), Ben (Logan Miller), and Jason (Jay Ellis) at first. We catch tiny glimpses into these characters lives and immediately begin to want to know more as to why and how these characters are in the current living arrangements. The sad part of only introducing audiences to these three characters first, we are lead to believed upon meeting Amanda (Deborah Ann Woll), Mike (Tyler Labine), and Danny (Nick Dodani) that these characters are all expendable. By eliminating characters through predictably most films would lose their appeal by default. This was not the case with this film as oddly enough Mike, Amanda, and Danny were some of my favorite characters. Labine is an absolute pleasure to watch as always. He manages to bring his charm and charisma to a character that could have been easily overlooked otherwise. Woll also provides a strong female presence in a film primarily dominated by male characters. Once one of the rooms reveals the twist, the intrigue grows stronger. We all must remember to wonder who is telling the truth and who might be lying to us because with these characters have nothing to lose by lying to each other. Ultimately no matter how likable these characters are the film’s lackluster last half hour does very little for the film that audiences will truly enjoy until then. Much like other horror films of today Escape Room falls into one simple problem. The film attempts to become a franchise far too quickly instead of letting it’s merits gain momentum and word of mouth to attain some a cult status to warrant a franchise instead. 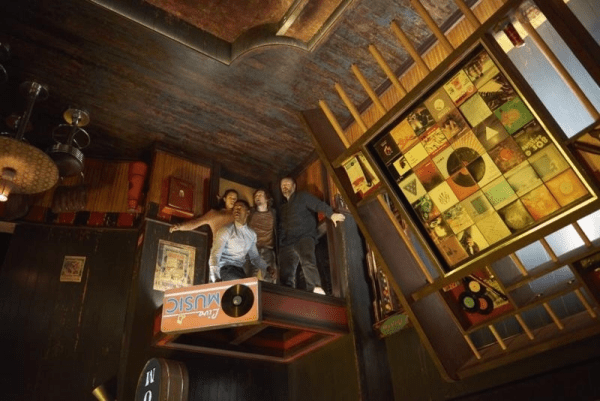 By sometimes forcing the film into a literal corner, Escape Room fumbles instead of becoming the great film that so many horror fans wanted it to be in early January of this year. Something tells we might get a second chance though as this might be the little franchise that could developing. I’m just not entirely sure this is one puzzle I want to continue to solve.